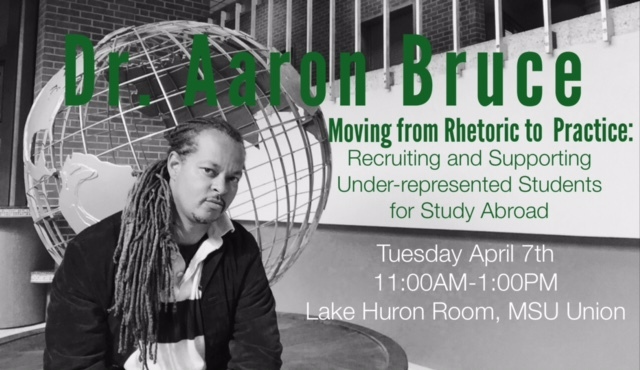 My mentor and friend Dr. Aaron Bruce, Chief Diversity Officer at San Diego State University, will be traveling to Michigan State University to talk about encouraging under-represented students to study abroad. Also here is my YouTube interview that I did with him. Learn his personal story and why study abroad should be for everyone, regardless of race or economic status.